This is the documentation for the CIVET—Contentious Incident Variable Entry Template—data entry system. CIVET was developed under the NSF-sponsored project titled “A Method for Leveraging Public Information Sources for Social Science Research” which is creating tools to improve the efficiency of data generation in the social sciences, with an initial focus on coding event data in the domain of contentious politics. The system is deployed as a Django application; it should be possible to get this working by installing Django on a local machine and copying the directory djcivet_site. We are very interested in feedback on this system, including any bugs you encounter (please let us know what operating system (e.g. Windows, OS-X) and browser (e.g. FireFox, Explorer, Chrome) you were using), aspects of the manual that are unclear (and features that appear too complex), and additional features that would be useful. Please send any suggestions to schrodt735@gmail.com. The development of CIVET is funded by the U.S. National Science Foundation Office of Multidisciplinary Activities in the Directorate for Social, Behavioral & Economic Sciences, Award 1338470 and the Odum Institute at the University of North Carolina at Chapel Hill with additional assistance from Parus Analytics. 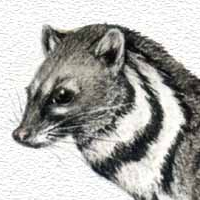 This documentation is licensed under a Creative Commons Attribution-NonCommercial 4.0 International License; CIVET is open source and under the MIT license. Any opinions, findings, and conclusions or recommendations expressed in this material are those of the authors and do not necessarily reflect the views of the National Science Foundation. Last updated on 2016-08-22. Created using Sphinx 1.3.1.